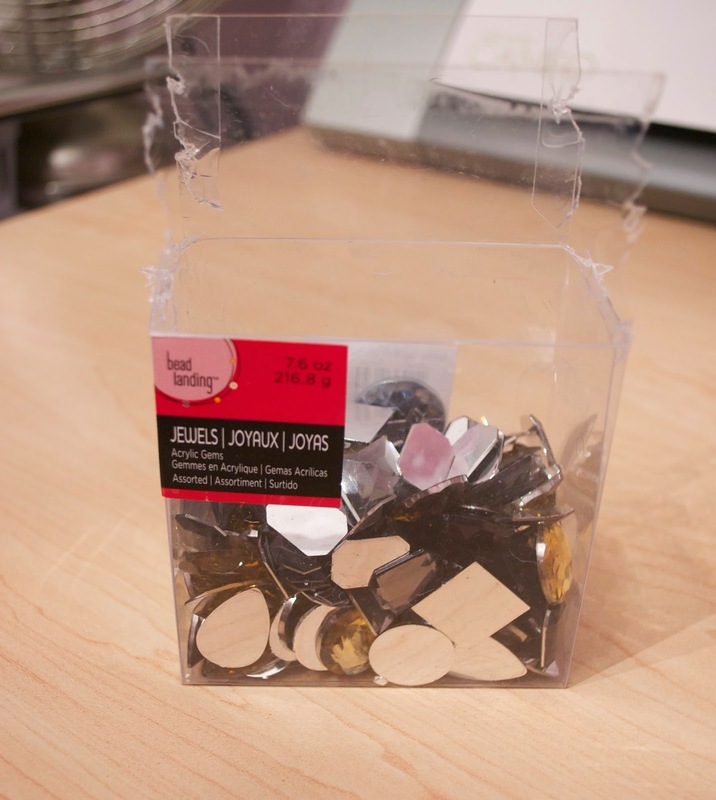 Are you ready....to make a statement rhinestone necklace that requires NO SKILL whatsoever??? If you answered no....do not pass go...do not collect $200...please go directly to DIY/Jewelry making jail. If you said YES though...have I got a tutorial for you! 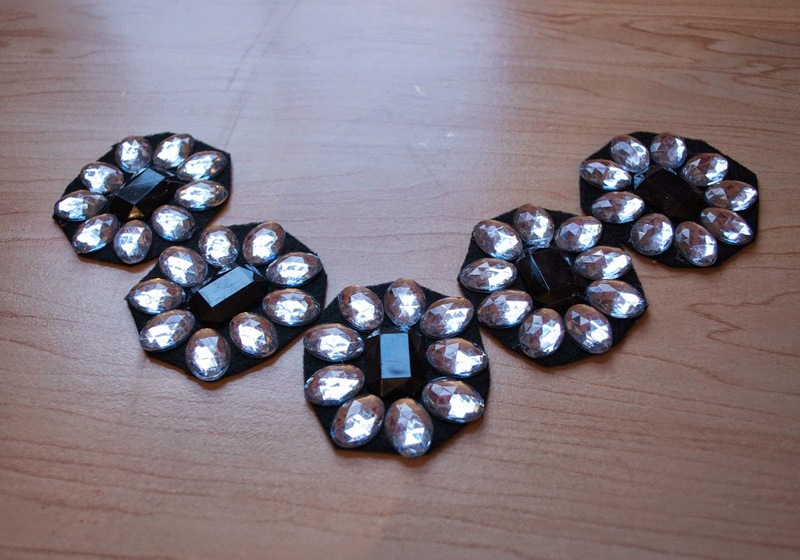 I've seen so many big and fancy rhinestone necklaces out in stores lately, I was curious to see if I could make anything similar. 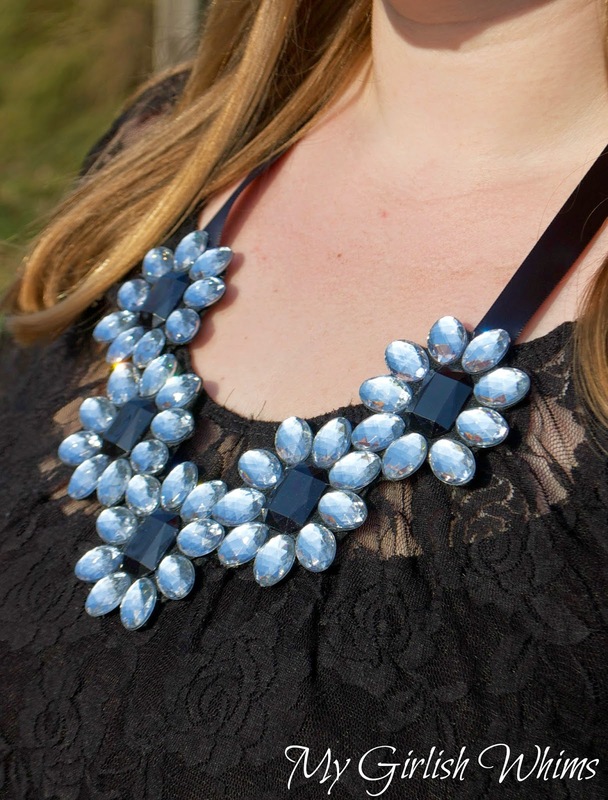 This necklace might not be quite as fancy as some I've seen in stores but it was dang cheap to make and so easy to make that anyone can do it! 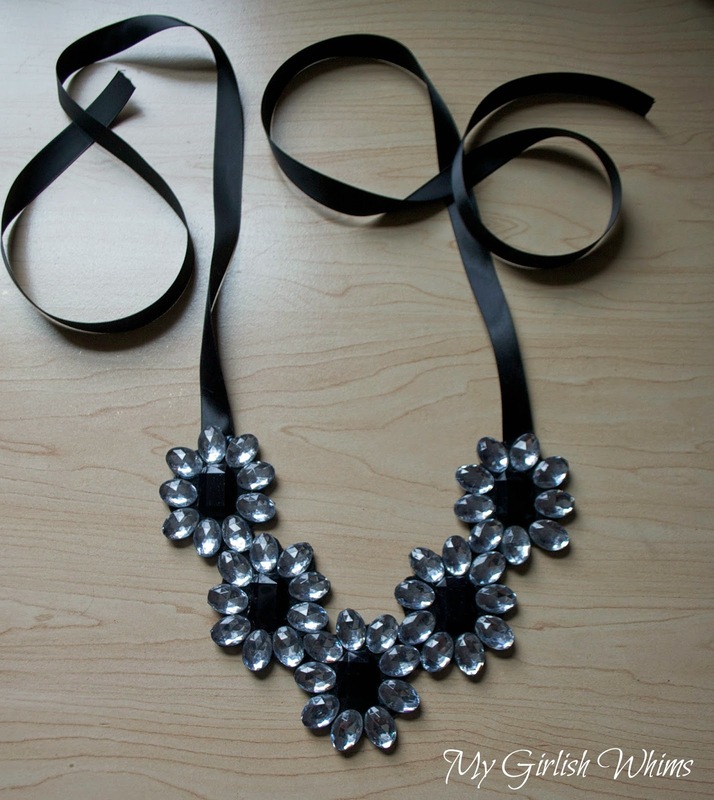 The main supply you need for this necklace is flat backed rhinestone beads. I got mine from this little box I found at Michaels for about 7 bucks. I still have plenty left over to make another necklace too!! 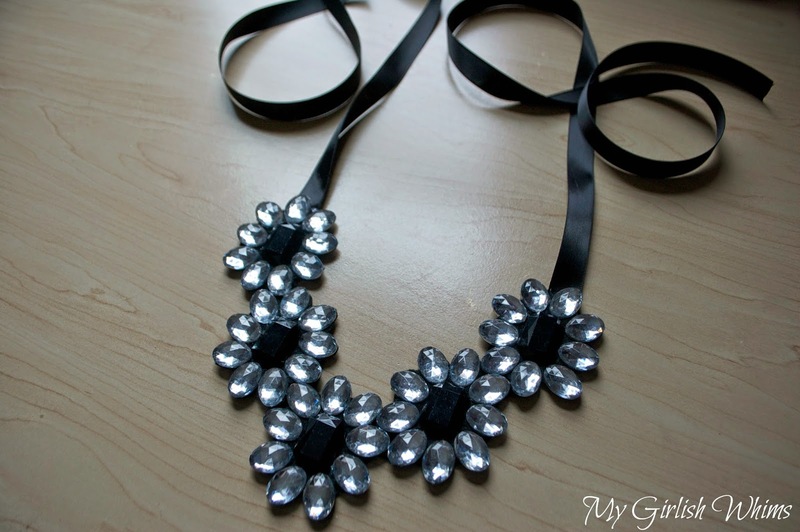 Besides the rhinestones you will also need felt, ribbon, hot glue and scissors to make this necklace. 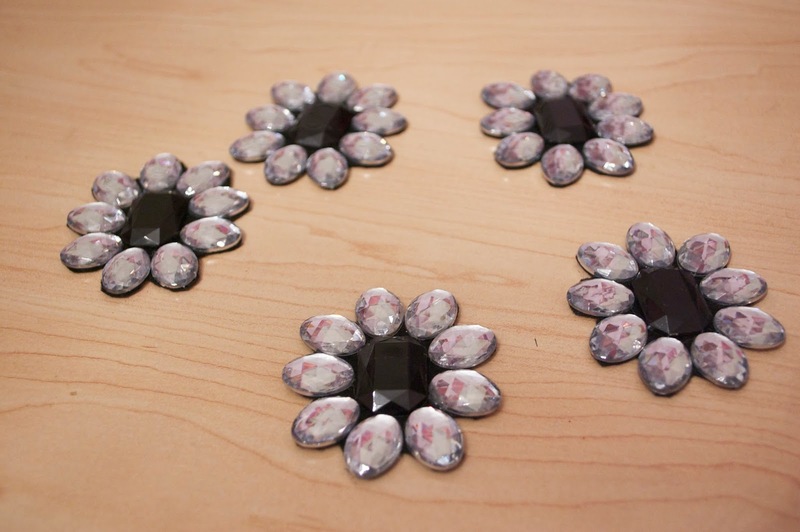 I played around with a lot of different patterns with the rhinestones but settled on this flower look that features one large black rhinestone and 9 smaller silver crystals around it. 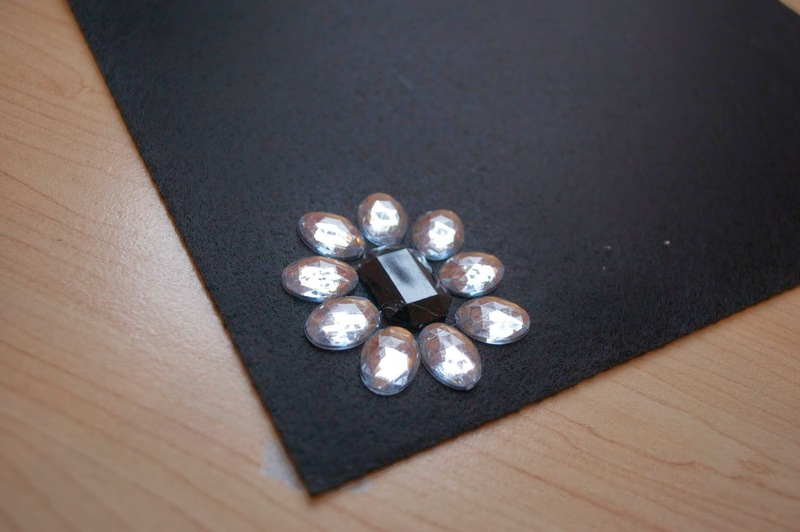 After you lay your rhinestones out on your felt in the pattern you want lift each bead up and hot glue it back down. Use a sharp pair of scissors to trim away all of the excess felt from each flower. 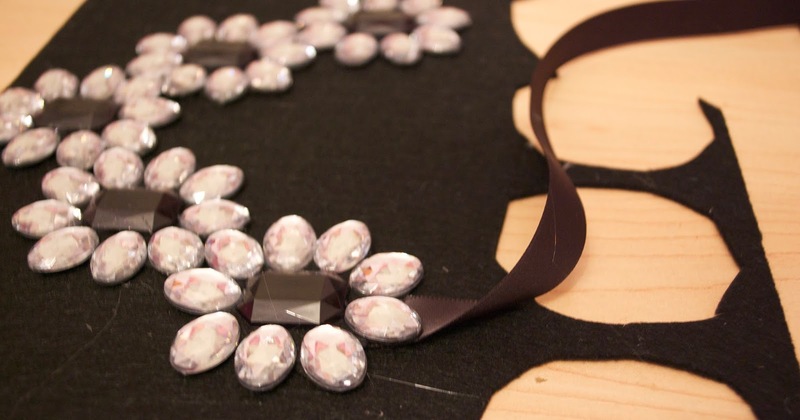 Then lay each rhinestone flower down onto your felt piece (if you squeeze you can get away with only using one piece of felt for this whole project!) and hot glue everything down but the very top two pieces. Before you glue to top two pieces down slide in a piece of ribbon on each side. 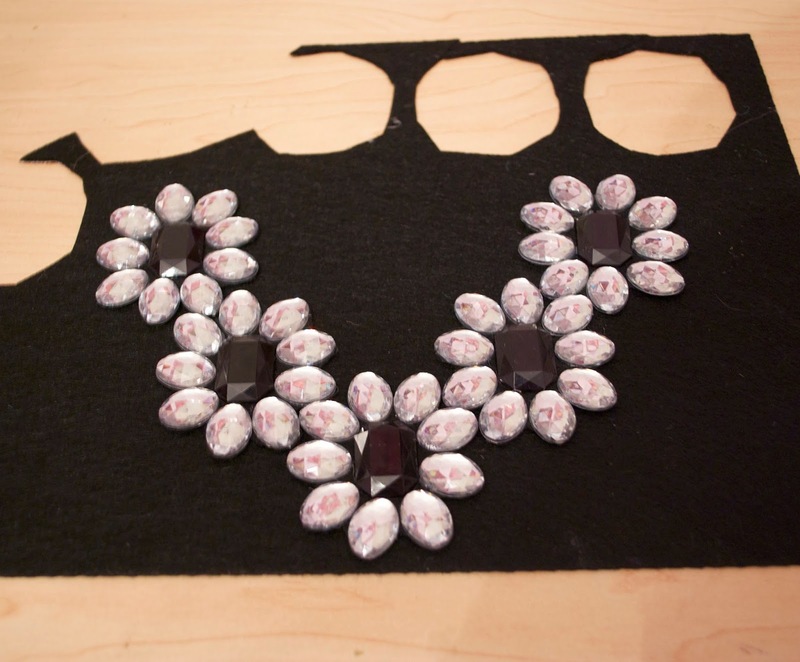 Then all that's left is to trim away the excess felt, and you have a stunning rhinestone necklace just like that! 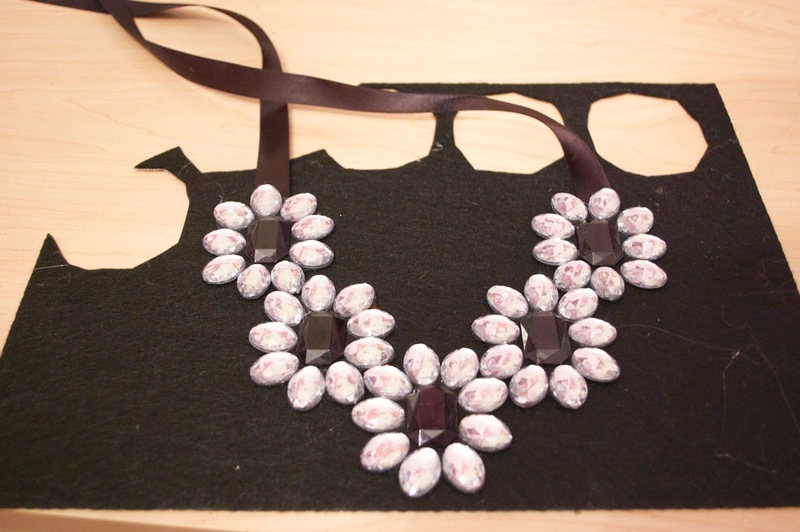 This was such a fun piece to make and the technique is so basic you could make tons of other designs by just creating different patterns with flat back rhinestones! 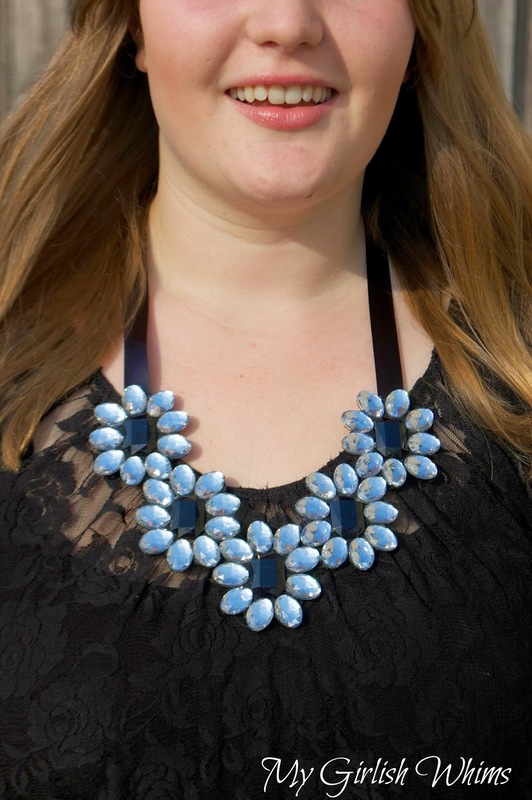 I paired the sparkle of this necklace with a black lace top. Sparkle and lace...two of my biggest weaknesses! 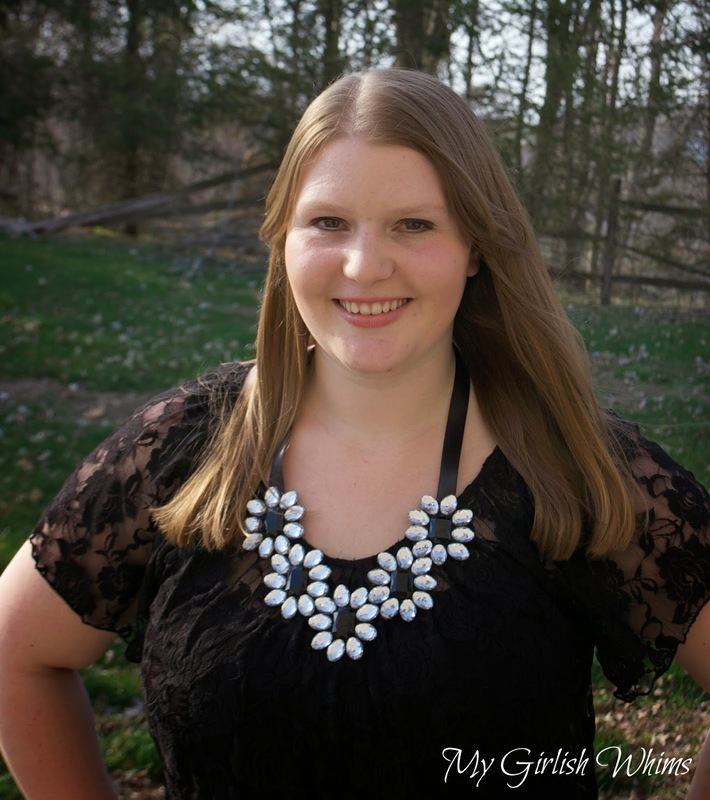 Super pretty, Rebecca! This would make a fun craft to do with daughters!